Today was a lot of fun in Class 4. 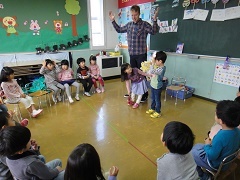 In the morning we had a puppet show about the play we will do for Hyogen Festival “The Golden Goose”. The children were very excited to learn about the characters they could be. 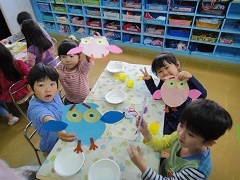 We also finished our owl craft and put some cute clothes on them for the cold autumn. Class 4 are getting very excited about Hyogen Festival and are already talking to each other about what charaters they want to be. 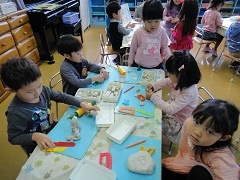 The Class 4 children were also excited about the upcoming swimming lesson on Thursday.